Some travel books transport you over distance. This one takes you back in time. It's the perfect book to read before you get to Sicily, and to consult when you're there. 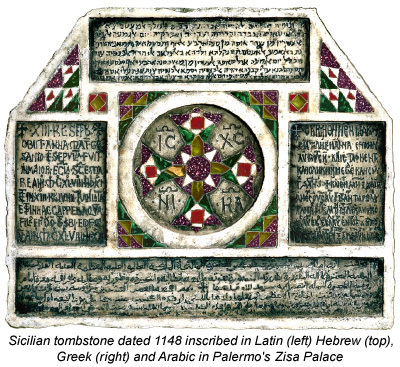 This is the first guide written in English dedicated to the polyglot medieval heritage of three Sicilian cities where Europe met Africa and Asia for three magical centuries. 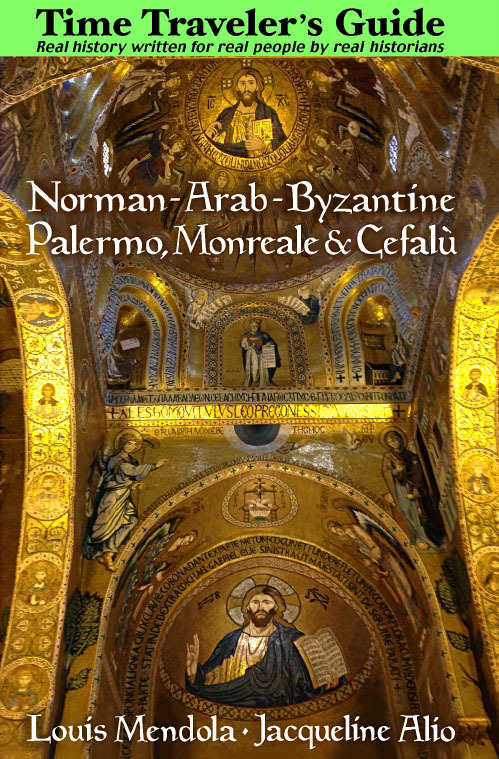 Here two of Sicily's leading historians present accurate, timeless information about the Norman, Arab and Byzantine legacy of Palermo, Monreale and CefalÃ¹. From emirs to kings, muqarnas to mosaics, this book includes details rarely published elsewhere, some drawn from the authors' original research. Included are numerous maps and (black and white) photos. Chapters are dedicated to specific sights, such as cathedrals and castles, as well as topics like religion, architecture and the local cuisine. There are informative chapters on Fatimid art and Byzantine iconography. 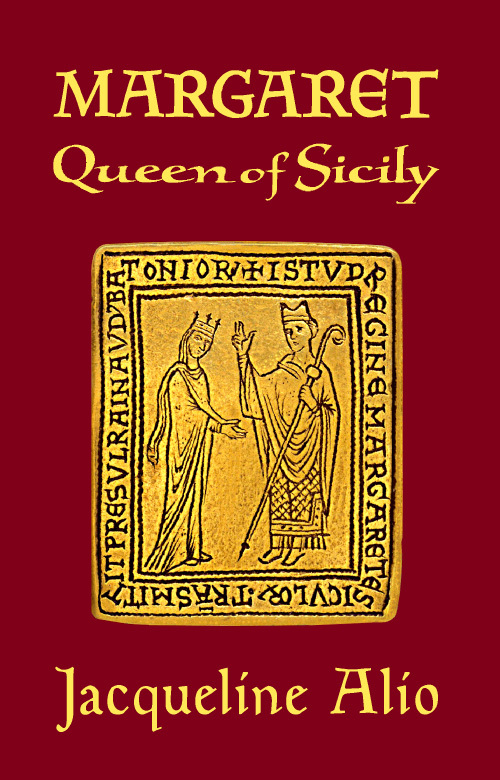 There is an overview of the chief period covered (900-1200), a detailed chronology, a list of important historical figures and an index, along with a concise introduction to Sicily's ancient history. 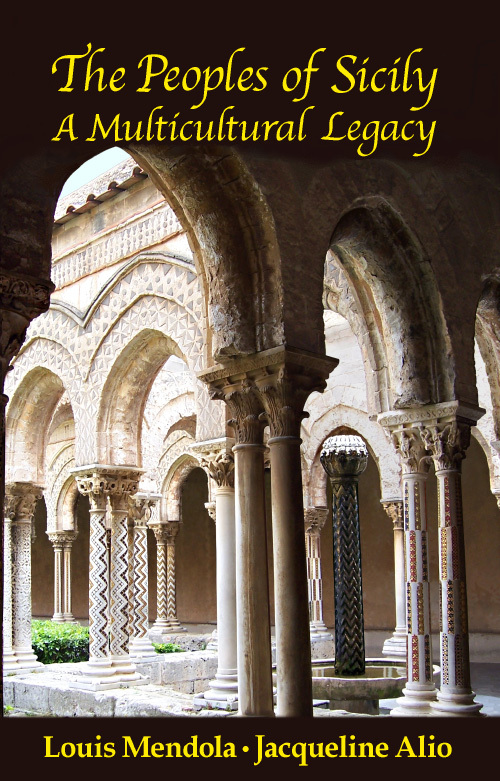 The chapters on popular sites, like Palermo's Palatine Chapel and Monreale's abbey, are detailed yet concise enough to be read quickly. Several sites in Palermo, Monreale and CefalÃ¹ were added to the UNESCO World Heritage List in 2015. The authors describe those places and many more, including a few jewels that are generally overlooked. It's a well-kept secret that more churches standing in the twelfth century survive in Palermo than any other city in Europe. Though it has a useful chapter on schedules, sightseeing and access, this book is not the typical destination guide that lists hotels and restaurants, perhaps providing transportation information and other details. It complements such guides (and websites) by concentrating on the kind of information that interests the slightly more curious visitor, especially the medievalist. Its emphasis is on what makes the medieval art and architecture of this corner of Sicily different from the rest of Italy and most of Europe. The authors make the point that there's a bit of medievalist in all of us. Here the focus is the history and culture intricately interwoven into the medieval sights and sites you are visiting, or plan to visit. It's all about context and Sicily's place in the world. The authors are not travel writers but specialist historians who live in the place they write about. These pages reflect their passion. There is an abundance of information, far more than what is found in most guides, but the lengthy index can be used as a menu. No need to read the whole book. Just choose whatever seems most interesting at the moment. Among the book's immediately useful details are the diagrams indicating the placement of the mosaics in the churches, along with a simple genealogical chart showing how the kings and queens of the Norman era were related to each other. Equally informative are the maps of medieval Palermo. 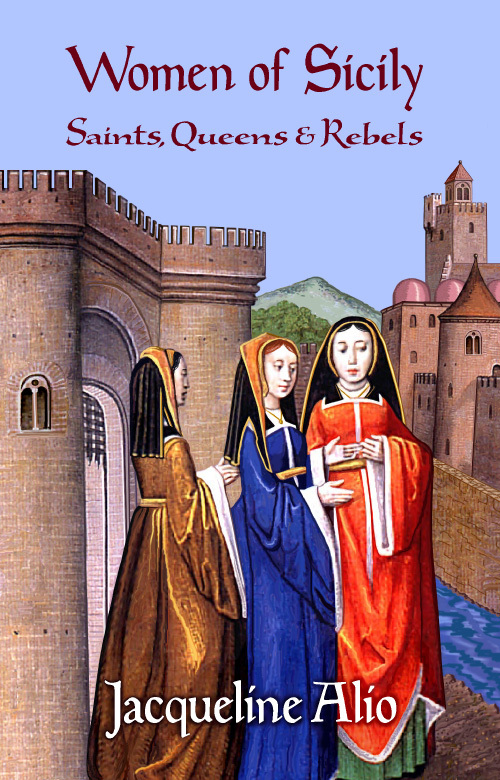 The first few chapters of this guide, eloquently setting forth the history of the Byzantines, Arabs and Normans in Sicily, were drawn from the authors' earlier book, The Peoples of Sicily. Here is the kind of information very few guides present in a cohesive way. This book is about more than superficial sightseeing. In describing the people and peoples behind the monuments, it invites you to embark on a journey from seeing to understanding. Along the way, you'll meet the Normans, Arabs, Greeks, Swabians and Jews who forged one of the most remarkable multicultural societies the world has ever known, something as timely as it is timeless. This guide will transform your visit into a learning experience.